When one visits Japan, and in particular goes to a castle, it is possible to enjoy the experience of wearing samurai armour. You might wonder what is so special about Japanese armour, most countries in the world have had the traditional of manufacturing armour for war such as that worn by European knights, but there is something distinctive and original about Japanese armour. It is perhaps for this reason that people around the world can recognize Japanese armour so easily, one only has to think of major US blockbusters such as The Last Samurai, The Wolverine and even the recent movie Transformers: Age of Extinction where one transformer takes the form of a samurai warrior. We can find the earliest forms of Japanese armour as far back as around 300 AD, the evidence that has come to light so far has shown helmets and cuirasses that were worn at this time, but it isn’t until nearly 500 years later that we start to see armour which kind of resembles samurai armour as we know it. By the 12th century samurai armour had reached a more recognizable stage with the use of leather and lacquer, iron scales and more. When European traders reached Japan in the sixteenth century examples of armour were traded back and forth, for example in the Tower of London you can view samurai armour which was gifted to King James I in 1613. It is amazing to think that this very same armour would have been the first time that many people in the UK would have seen something of Japan, and in fact it was the first time that anyone had seen samurai armour in this part of the world. 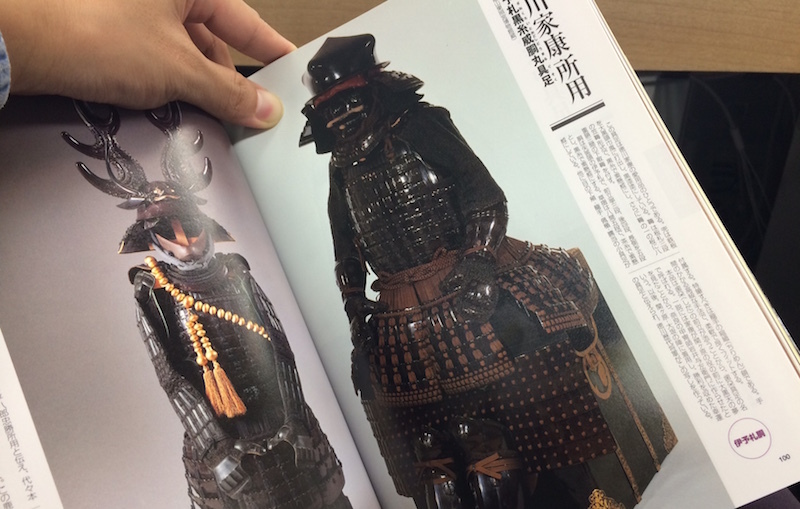 It was made by Iwai Yosaemon of Nara, the Shogun Tokugawa Ieyasu’s personal armourer. Unfortunately, for a long time it was mislabelled as the armour of the ‘Great Mogul,’ a mistake which I am sure no-one would make today! Just as Japanese armour arrived in Europe where it became a curiousity to be exhibited, European armour made its way to Japan where it was studied. Armourers studied the European version of the cuirass and other parts, which they then applied to samurai armour. It is easy to think that armourers, and the samurai, would be resistant to making any changes to their established armour, but with the Europeans also came European guns. Samurai armour had to evolve to include iron or steel plates which were especially designed and tested to withstand bullets. Once Japan closed it’s borders in the 17th century samurai armour didn’t evolve much further, and thus many families kept traditional armour in their homes. 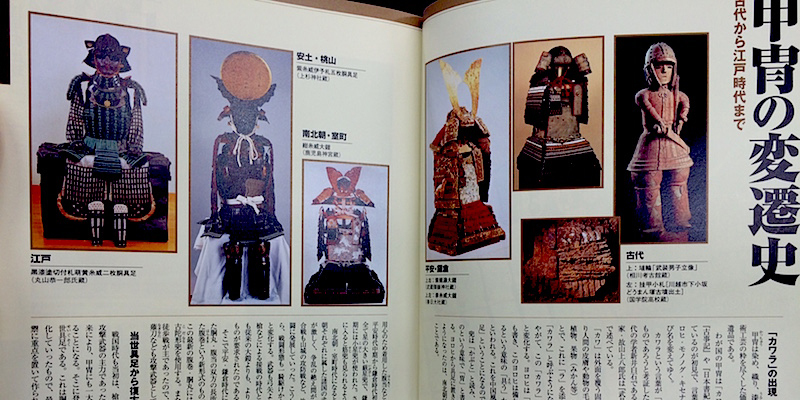 Today we can see many examples of samurai armour which sparks the imagination, and for many foreigners it is not only great to see this armour in movies, but also to try wearing it when on a visit to Japan. One of the things that movies won’t often show is just how many different pieces make up the samurai’s armour, though you will notice in Japanese movies that the samurai in charge have ornate armour and are normally sitting down! Rich lords would have incredible armour which took a long time to put on or take off, and being heavy meant that they preferred to be sitting when possible! In general though, for the normal samurai their armour had to be lightweight so that they could ride a horse, do archery and of course fight with a samurai sword. There are about 19 main parts to a samurai’s armour, such as the cuirass or dou (胴）) which refers to the chest plate, the fauld or kusazuri (草摺) which are metal plates that hang from the cuirass and the cuisse or haidate (佩楯) which protects the thighs. This is just a small introduction to Samurai armour, we hope that this motivates you to look a bit more closely when you next see one!